Have you ever experienced soap scum or mineral buildup around your drains, foul-tasting or -smelling drinking water, oppressive allergy symptoms due to pollen, or any other problem with the water or air in your Cleveland, Ohio, home? If you have, the cutting-edge home water and air treatment products from RainSoft are just what you need. Since 1953, we have proudly served homeowners throughout North America, and we have since grown to become a leader in the home water and air treatment industry. Air Purification Systems – A RainSoft air purification system will remove airborne allergens, mold, mildew, bacteria, dust, and other impurities from your home’s air. 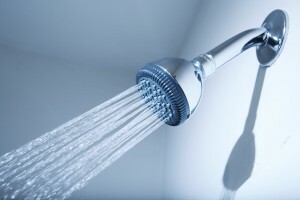 Water Softener Systems – Our water softeners will eliminate your home’s hard water through the innovative process of ion exchange, swapping out the calcium, magnesium, and other minerals that cause water hardness with sodium or potassium. Whole House Water Filters – Our whole house water filtration system will remove chlorine, volatile organic compounds, chloramines, and other chemicals from your home’s water supply. If additional chemicals, such as sulfur or iron, are found in your water, we can also install a specific problem-solving filter to address any such issue. Drinking Water Systems – We can install a premium drinking water system designed to remove foul odors, tastes, and other impurities from your home’s tap water and provide crisp, healthy water on demand. Not only will our systems address your air and water quality concerns, but you won’t ever have to worry about needing a replacement. Every RainSoft system is covered by an industry-leading Limited Lifetime Warranty, ensuring that your new investment will be well-protected. If you have further questions about the home water and air treatment products we have available in Cleveland, OH, please contact your local authorized RainSoft dealer today.